MIGHTY Warriors striker Rutendo Makore could not hide her excitement on Monday night when the team received $1000 each at a dinner held in the capital to honour national team players. The function was organised by the government to honour the Warriors, Mighty Warriors, regional awards winning athletes, nominees and Wilfred Mashaya of Kobhodi. The Ministry of Sport, Arts and Recreation took the opportunity to award the Mighty Warriors for their participation at the Rio Olympics in 2016 and their performance in the 2018 Africa Women Cup of Nations qualifiers. Makore said it was her wish as a national team player to have their efforts rewarded. “To be honest I feel greatly honoured by what the ministry has done for us. This is the first time for me in a long while to receive such amount of money especially after playing for a national team. “We are happy indeed and hope that such events are held regularly to also motivate us to do better eventually,” she said. Mighty Warriors went against the grain by qualifying for the 2016 Rio Olympics where they were largely considered as lightweights. Although they came against a brick wall when the Australians floored them 6-1, ending any chance they had of staying longer in that showpiece, they still left a huge impression. The same year they featured in the nations cup, only making it to the group stages and were deprived of their chance to sail through to the quarterfinals by Egypt. 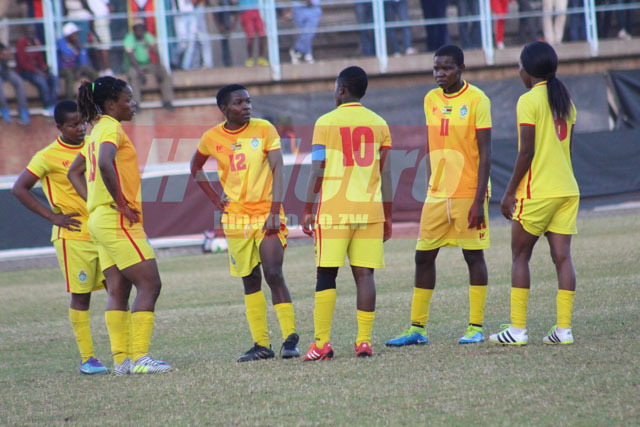 In 2017 the Mighty Warriors playing hosts to the COSAFA Women’s championship saw their dream of dominating the region up in smoke after losing to Banyana Banyana. Although they lost to Zambia on Sunday, a team that showed much improvement and many layers in their game, the ministry still recognised their past achievements. “That’s what we usually hope for whenever we go for national duty to at least be honoured even when we have not done well,” Makore said.